The purpose of this council is to assist Father Luan in developing, maintaining and disbursing the material and financial resources of the parish. The Council consists of individuals who have experience and expertise in business, finance, budgeting, accounting, building maintenance, etc. and are selected by Father Luan. The purpose of this council is to advise the Father Luan in developing and renewing priorities for the pastoral ministry of the parish. The Council is made up of the Father Luan, Father Suresh, and nine representatives from the Parish. As members complete their terms, parishioners are asked to propose new names for the Pastoral Council. Those with the most nominations are contacted and asked to pray and discern about serving on the council. Members serve the Council for three years, renewable once, for a maximum of six years. This committee is made up of people in the parish who are involved with or interested in preparing and developing the liturgical life of the parish. This includes Celebrations of the Eucharist, Reconciliation services, and other liturgies throughout the year. 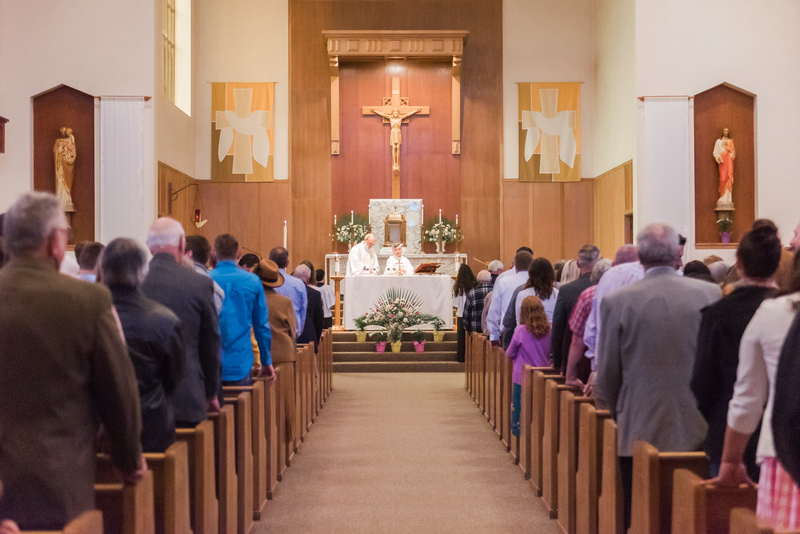 Members of the liturgy committee are the Pastor, Parochial Vicar and leaders of various ministries directly related to the liturgical celebration. Our parish is divided into circles, with each family assigned to one. These five circles make up the Altar Society. The purpose of the Altar Society is to participate in the upkeep of the sanctuary and the interior of the church. Each month on a rotating basis one circle is in charge of cleaning the church. Twice a year—Easter and Christmas—all parishioners are asked to help with a general church cleaning. The Cemetery Board consists of eight people appointed by the Pastor. The board oversees the financial and aesthetics of the cemetery. St. Mary Cemetery, located between North Third and Sixth Avenues, south of Fern Ridge Rd., serves the Catholic people of the Stayton area.